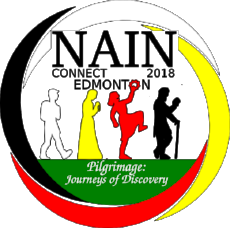 Join Emily Farthing and Shelton Nalley and our 2018 Young Adult Scholars to talk about and reflect on NAINConnect 2018 in Edmonton, Canada with the theme: "Pilgrimage, Journeys of Discovery". Read further about NAIN young adult scholars at http://www.nain.org/young-adults.html. NAINChat is held online every 3rd Wednesday of each month at 3:30 PM Pacific time zone. Did you attend NAIN 2018? The NAIN Program Committee requests your assistance in helping us to continue to meets the needs of those who are seeking to deepen their interfaith journey. We ask that you fill out the evaluation by clicking on this link. This will help us when we meet with the planning committee for the next Connect. Please have your evaluation to us by August 15th. We appreciate your input.